These security glass windows made with ballistic glass (bullet proof glass) are used in secure facilities such as Prisons and Mental Health Facilities. 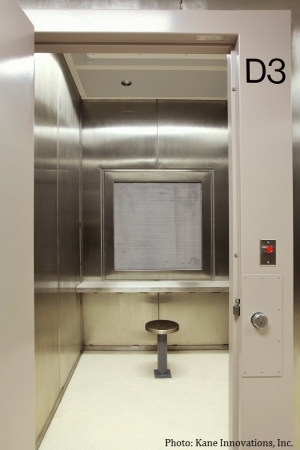 We have installed several projects using both steel and aluminum detention windows that are designed to withstand tremendous impacts as well as being a deterrent toward escape. Steel detention windows can have welded bars and integral hardware designed for operation for maximum security environments. Aluminum detention windows with integral blinds are typically specified by the Office of Mental Health for use in Psychiatric facilities with threat resistant Polycarbonate for tamper resistance and threat resistance. Glass security screens are often used as a primary or secondary means of securing window areas. They can be used to keep threats out or to keep security inside. Security screens can be either steel or aluminum with heavy gauge screen mesh that is resistant to cutting or prying open. Typical uses for security screens are secure facilities, ground floor apartments, public schools and other public facilities that need tamper resistant security products that provide peace of mind and meet the tough requirements that are needed for secure facilities. These screens can be fitted with emergency egress locks as needed for certain uses. 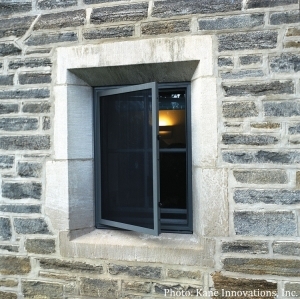 Security glass window products need to be installed by skilled craftsman that know the installation techniques required by the manufacturers to ensure these products meet the needs of the end user. We have the experience and know how to get the right security glass product for the application and install it properly.